The 911 Targa 4 GTS and Cayenne Turbo S are celebrating their world premieres at the 2015 North American International Auto Show in Detroit. 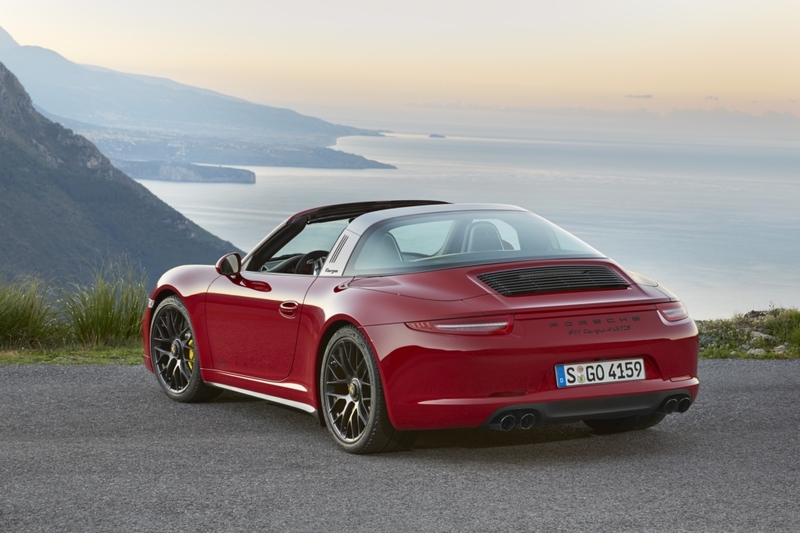 For the first time, the 911 Targa 4 GTS combines the successful GTS idea with the classic Porsche Targa concept. Its more powerful engine with 430 hp and standard Sport Chrono package generate even more dynamic performance. Other GTS-specific ingredients include matte black 20-inch center lock wheels, sport design front end, black air intakes and, also in black, GTS logos on the doors, at the rear, and on the Targa bar. Inside, the black Alcantara® on the steering wheel and seats creates a sporty flair along with the trim accents finished in black brushed aluminum. The new top model of the latest generation Cayenne is primarily distinguished by its new engine charging concept with turbochargers integrated into the exhaust manifolds. This increases the power of the Cayenne Turbo S to 570 hp, which is 20 hp more than the previous model. The car's maximum torque, which was increased to 590 ft.-lb., enables superlative performance, and the new turbochargers ensure even better throttle response of the twin-turbo engine. Both new products deliver maximum driving enjoyment by offering top levels of sportiness, and they are perfect examples of the sustained success of Porsche in the world's largest sports car and SUV market, the USA. Ever since the Type 356 was introduced in the 1950s, Porsche has appealed to a very broad-minded customer base with its vehicles in the USA, a clientele that truly values a unique mix of sportiness, performance, utility, and design. 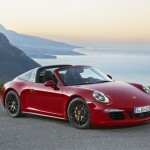 That is why the United States has traditionally been the largest global market for Porsche. In 2014, around one-third of all vehicles it produced were delivered to US customers. To mark the 50th anniversary of the 911 Targa, Porsche is offering this very popular model in the more powerful and dynamic GTS version for the first time. The concept of the 911 Targa 4 GTS delivers confident driving enjoyment with all-wheel drive and a Targa bar; it also delivers open-air fun with a fully automatic Targa top. Contributing to a boost in dynamic performance are the 430 hp GTS engine together with the standard Sport Chrono package, PASM chassis, 20-inch center lock wheels, and sport exhaust system. Despite its significantly extended features, the power to weight ratio with the 430-hp engine was improved compared to the S model to less than 8 pounds per horsepower. This lets the Targa 4 GTS reach a top track speed of over 186 mph, and the stopwatch records 4.1 seconds for the sprint from zero to 60 mph when equipped with the PDK transmission. Using the wider Carrera 4 body as all Targas do is the perfect starting point for the design of the new 911 Targa 4 GTS. The front is defined by the sport design front fascia with an opening for the auxiliary middle radiator and the tinted Bi-Xenon™ headlights that feature the Porsche Dynamic Light System (PDLS). When viewed from the side, characteristic GTS attributes are the matte black 20-inch center lock 911 Turbo S wheels, the sport design side mirrors, and “GTS" signatures on the doors. The “targa" logo on the silver Targa bar is also finished in black. At the rear, black accents are finished with a glossy trim on the air inlet cover and chrome exhaust pipes, accompanied by the matte black model logo. 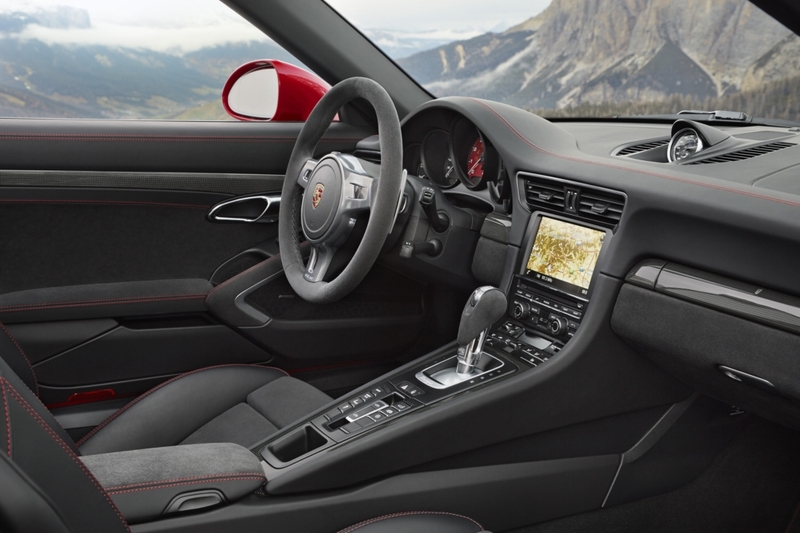 GTS DNA also defines the interior of the 911 Targa 4 GTS. The stopwatch of the standard Sport Chrono package sits atop the dashboard. In the front, the four-way adjustable Sport seats Plus – with their black GTS logo on the head restraints – provide additional lateral support and long-distance cruising comfort for both driver and passenger. The dominant interior material is black Alcantara®, which is half the weight of leather. 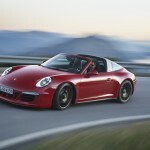 The Targa has been an established member of the 911 lineup since it made its debut back in 1965. Around one out of eight 911 cars ever sold was a Targa. The market share of the latest generation of this exquisitely styled 911 with its characteristic Targa bar is 13 percent – and it is growing. With the 911 Targa 4 GTS, Porsche is extending its lineup of the modern classic by adding a top model whose extensive package of standard features and price are appealing. 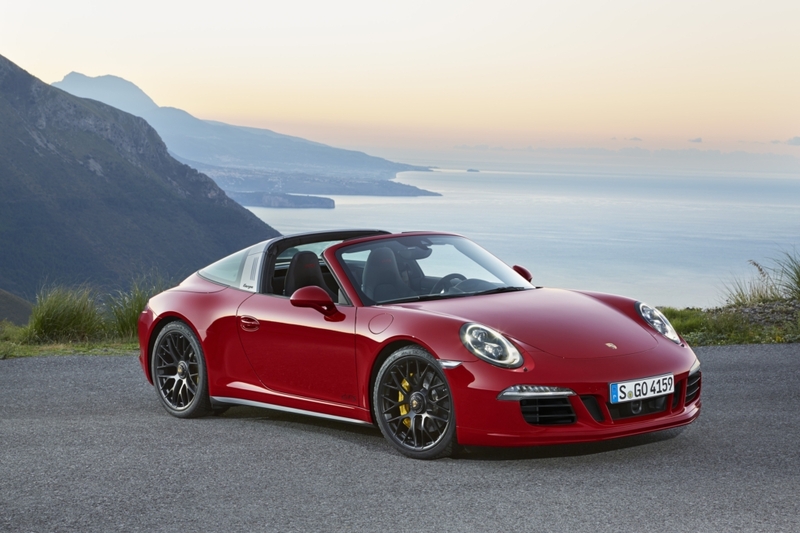 The Porsche 911 Targa 4 GTS will be launched in the United States in late-April 2015. 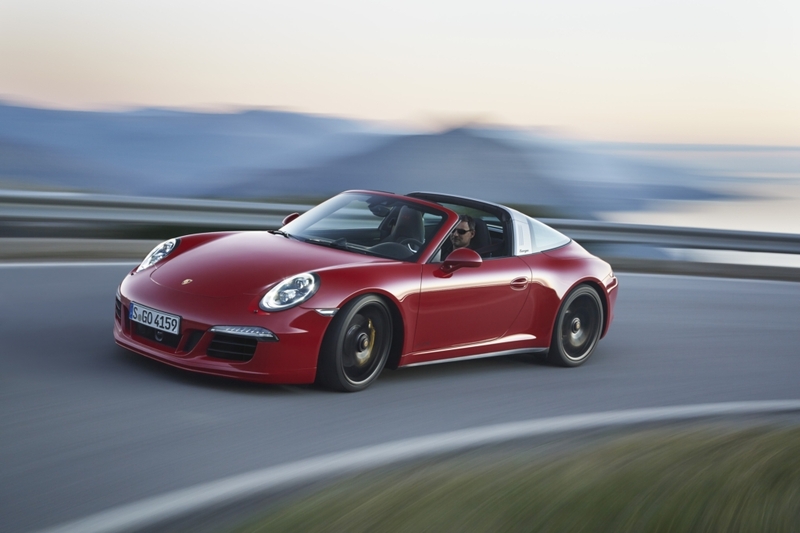 The MSRP for the 911 Targa 4 GTS is $132,800. MSRP does not include a destination charge of $995.